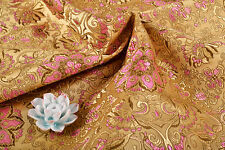 Damask Jacquard Brocade : 15silk 65 polyester 20%cotton. 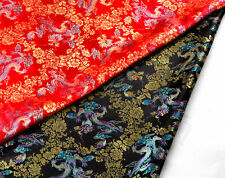 High quality silk brocade. absolute exquisite and delicate Chinese traditional pattern. This top class elegent silk brocade can be only put indoor, suitbale for dry washing and low temperature ironed. 28" ORIENTAL STAIN DAMASK JACQUARD BROCADE Damask Jacquard Brocade : 15silk 45 polyester 40% Cotton. For dress, tie, placemats, cushion, pillows, wall covering, table runner, curtain, drapery and other upholstery fabric and crafts projects. 28" SILK DAMASK JACQUARD BROCADE FABRIC: TIBETAN LEGEND. 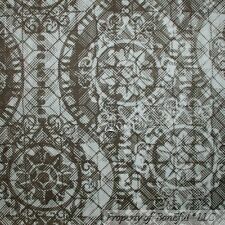 Damask Jacquard Brocade : 15silk 45 polyester 40 Cotton. For dress, tie, placemats, cushion, pillows, wall covering, table runner, curtain, drapery and other upholstery fabric and crafts projects. 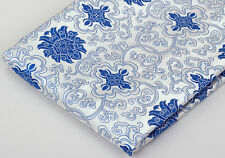 Damask Jacquard Brocade : 10% silk 25 cotton 65 polyester. High quality brocade. absolute exquisite and delicate Tibetan traditional pattern. For dress, tie, placemats, cushion, pillows, wall covering, table runner, curtain, drapery and other upholstery fabric and crafts projects. 28" SILK DAMASK JACQUARD BROCADE/FABRIC/TAPESTRY: FLORAL DORJE, GOLD & RED. Damask Jacquard Brocade : 15silk 85 polyester. 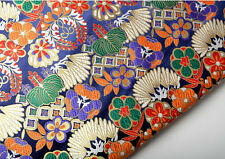 High quality silk brocade. For dress, tie, placemats, cushion, pillows, wall covering, table runner, curtain, drapery and other upholstery fabric and crafts projects. Damask Jacquard Brocade : 15silk 45 polyester 40 cotton. For dress, tie, placemats, cushion, pillows, wall covering, table runner, curtain, drapery and other upholstery fabric and crafts projects. 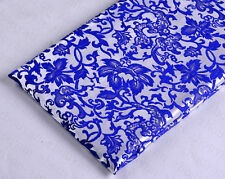 Damask Jacquard Brocade : 15silk 65 polyester 20%cotton. 28" ORIENTAL SILK DAMASK JACQUARD BROCADE/FABRIC/TAPESTRY: FLORAL DRAGON, YELLOW. For dress, tie, placemats, cushion, pillows, wall covering, table runner, curtain, drapery and other upholstery fabric and crafts projects. 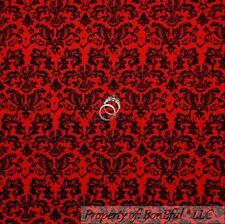 1/2 YARD 28" ORIENTAL STAIN DAMASK JACQUARD BROCADE. Damask Jacquard Brocade : 15silk 45 polyester 40% Cotton. For dress, tie, placemats, cushion, pillows, wall covering, table runner, curtain, drapery and other upholstery fabric and crafts projects. 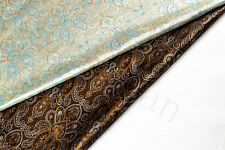 Damask Jacquard Brocade : 10% silk 25 lien 65 polyester. High quality brocade. absolute exquisite and delicate Tibetan traditional pattern. For dress, tie, placemats, cushion, pillows, wall covering, table runner, curtain, drapery and other upholstery fabric and crafts projects. 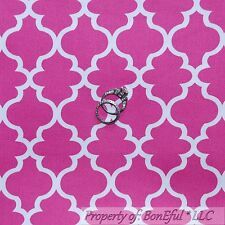 28" CHINESE SILK DAMASK JACQUARD BROCADE FABRIC : TWO DRAGON & FIVE BATS MANDALA. Damask Jacquard Brocade : 15silk 85 polyester. For dress, tie, placemats, cushion, pillows, wall covering, table runner, curtain, drapery and other upholstery fabric and crafts projects. X 36" CHINESE SILK DAMASK JACQUARD BROCADE STAIN FABRIC: PEACOCK FEATHER. Damask Jacquard Brocade : 15silk 45 polyester 40 cotton. For dress, tie, placemats, cushion, pillows, wall covering, table runner, curtain, drapery and other upholstery fabric and crafts projects. Damask Jacquard Brocade : 15silk 45 polyester 40 cotton. For dress, tie, placemats, cushion, pillows, wall covering, table runner, curtain, drapery and other upholstery fabric and crafts projects. High quality silk brocade/piece/tapestry. Trending at C $9.34eBay determines this price through a machine-learned model of the product's sale prices within the last 90 days. Composition: Polyester / Nylon. The length of fabric: by the Yard (91.5 cm). The width of fabric: 145 cm. Damask Jacquard Brocade : 15silk 85 polyester. For dress, tie, placemats, cushion, pillows, wall covering, table runner, curtain, drapery and other upholstery fabric and crafts projects. 28" SILK JACQUARD BROCADE/FABRIC/TAPESTRY: FLORAL DRAGON, BLUE & DARK SILVER. 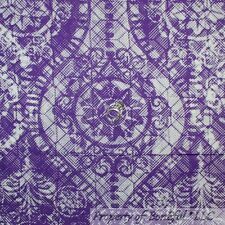 Damask Jacquard Brocade : 15silk 65 polyester 20%cotton. High quality silk brocade. absolute exquisite and delicate Chinese traditional pattern. 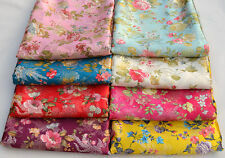 This top class elegant silk brocade can be only put indoor, suitable for dry washing and low temperature ironed. 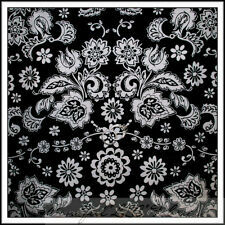 Damask Jacquard Brocade : 10% silk 25 lien 65 polyester. High quality brocade. 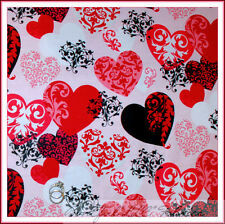 absolute exquisite and delicate traditional pattern. For dress, tie, placemats, cushion, pillows, wall covering, table runner, curtain, drapery and other upholstery fabric and crafts projects. 1/2 YARD 28" ORIENTAL STAIN DAMASK JACQUARD BROCADE Damask Jacquard Brocade : 15silk 45 polyester 40% Cotton. For dress, tie, placemats, cushion, pillows, wall covering, table runner, curtain, drapery and other upholstery fabric and crafts projects.